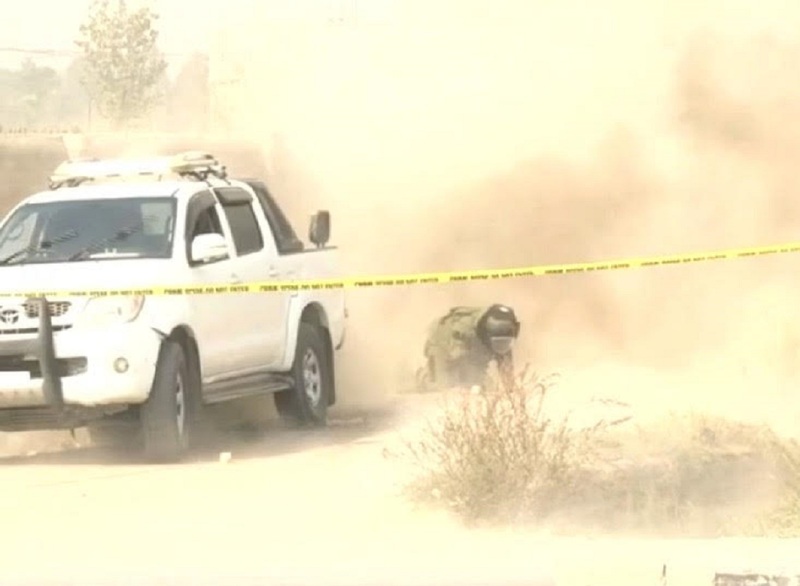 PESHAWAR -- The Khyber Pakhtunkhwa (KP) Police are taking the lead in Pakistan by training a policewoman to join the department's vaunted Bomb Disposal Unit (BDU) . Upon completion of the training, policewoman Rafia Qaseem Baig stands to make history by becoming the first woman to join a BDU in Pakistan. If she succeeds, Rafia is likely to become part of the KP Police BDU, which has defused thousands of explosives since 2009, according to KP Police. Rafia "volunteered for bomb disposal training", KP Inspector General of Police (IGP) Nasir Khan Durrani told Pakistan Forward. 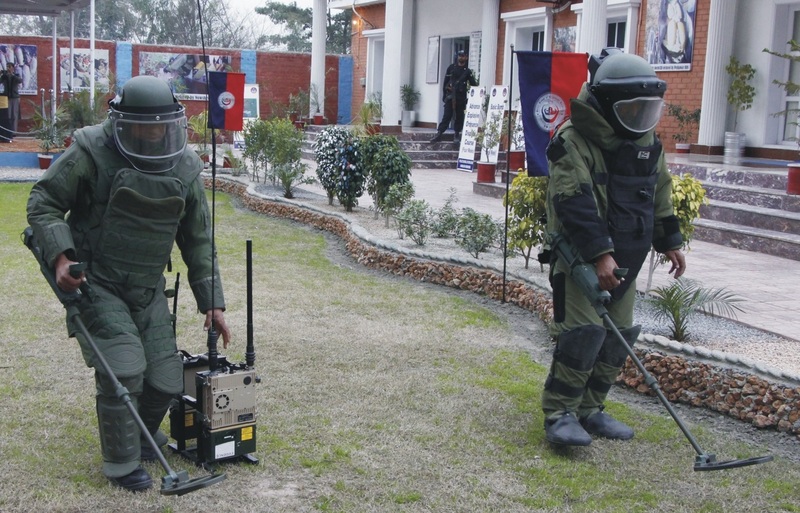 Alongside 30 male candidates, Rafia started two weeks of basic bomb detection and disposal training on December 5 in Nowshera. Although Rafia could be the first woman member of the BDU, she is not the only woman fighting terrorism in KP. "We already have a platoon of woman commandos who have received specialised anti-terror training," Durrani said, adding that other women will be undergoing bomb training. The KP Police BDU has the unwelcome distinction of being one of the busiest bomb squads in the world. Since 2009, it has defused more than 6,000 bombs, saving tens of thousands of lives and property worth billions of rupees. Aware of the dangers of fighting terrorism in KP, Rafia said she is committed to doing something extraordinary for her country and its people. "The day I joined the police force ... in December 2009, a bomb went off outside the district court, but it didn't discourage me," she told Pakistan Forward. Even her family's pleas could not dissuade her. In January 2010, she began serving at the Matani police station, which at the time faced routine terrorist attacks in its jurisdiction. Rafia praised the BDU members for risking their lives to defuse thousands of bombs for more than a decade. "I want to show the world that women of our region are as brave as their male colleagues who defuse bombs," she said, still wearing the protective gear of a BDU member in training. Rafia already has won recognition for her professional attainments. In April, the KP government awarded her the Hunar-e-Hawwa (Skilled Women) award for her achievement as a policewoman. Before joining the police, she received a master's degree in international relations and economics from the University of Peshawar. She is pursuing a law degree now, even as she works full time. The most inspiring aspect of Rafia's saga is that she volunteered for the BDU posting, said Hassan Farhan, a Peshawar TV journalist. "Rafia has chosen something different and difficult," he told Pakistan Forward. "She is probably the first policewoman ... in all of South Asia to be defusing bombs." As Rafia's notoriety has spread, she has garnered tributes on social media. "She is an inspiration for the women of the KP and the whole Pakistan," a Pakistani student, Rafiullah, posted on Facebook. She deserves a promotion for her courage and her determined pursuit of three university degrees, he said. "You go girl. Rafia is becoming a role model for many of us," Ramsha, a young Pakistani, tweeted. Other social media users hailed Rafia for choosing to undergo difficult training for a dangerous job. It is good that a woman selected such a risky job however I will suggest to use latest technology, like Robots, to defuse such devices. 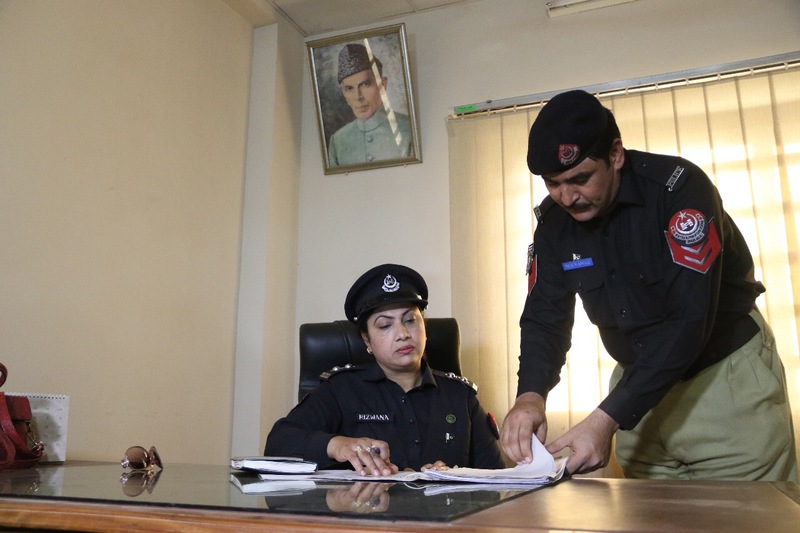 In July, Rizwana Hameed became the first female KP Police officer to head an all-male police station. A member of the team was recently given an award for heroism for being injured while defusing a bomb targeting police officers.